Printing Blu-ray discs in mass has never been easier thanks to the Bravo SE-3 disc publisher! Disc duplicators don’t have to be bulky and take up lots of room; the Bravo SE-3 offers compact Blu-ray duplication at a fraction of the cost and size of other publishers. 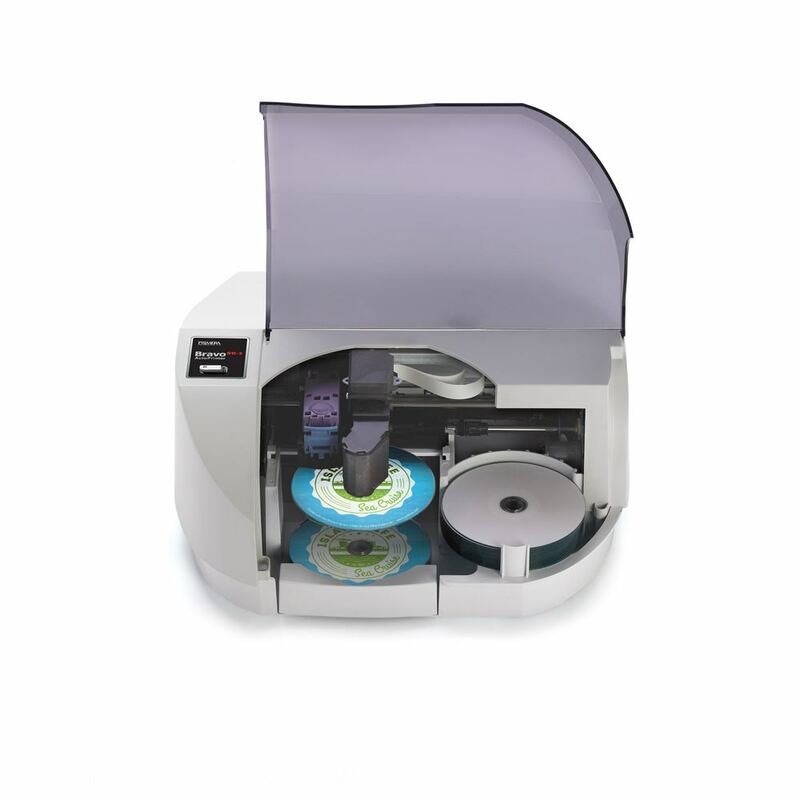 This portable machine can duplicate and print up to 20 full color high quality discs at a time. This printer comes with a color ink cartridge and features integrated 480 dpi inkjet printing to really bring out your disc artwork. It is compatible with either Windows or Mac and utilizes user friendly software to operate. It comes with a one year warranty with optional extended warranties available. Don’t feel blue when you’ve got a lot of printing to do! With the Bravo SE-3 Blu Disc Publisher, printing mass quantities of discs is fast and easy. 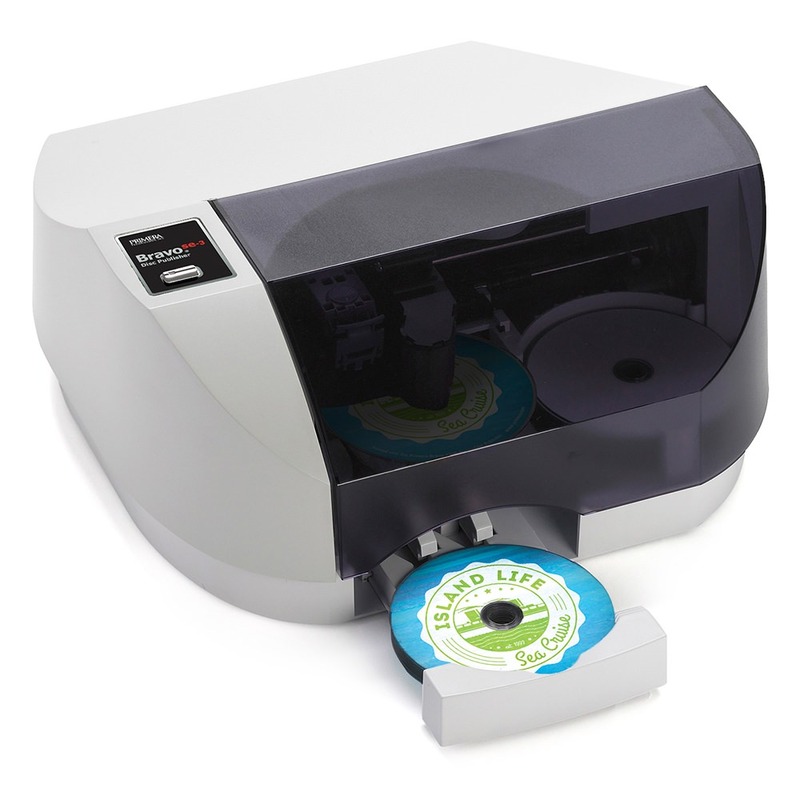 The Blu Disc Publisher can duplicate and print up to 20 discs at a time. It has a built-in high speed BD-R/DVD±R/CD-R recordable drive that can copy or print unique individual discs or produce large batches of the same disc. It’s compact design makes it easy to transport and a comfortable fit on any desktop. It comes with a color ink cartridge and features integrated 4800 dpi inkjet printing, so it’s able to make full color high quality discs! The Blu Disc Publisher also comes with Primera’s PTPublisher for Windows and Mac®, with design software specifically designed to work with both operating systems. Its equipped with a USB 3.0 cable for faster data transfers. The Bravo SE-3 Blu Disc Publisher comes with a one year warranty for parts and labor; Optional extended warranties are also available. Recording Speeds: CD-R 40x, CD-RW 24x. DVD-R 16x, DVD+R 16x, DVD±R DL 8x, DVD-RW 6x, DVD+RW 8x. Optional BD-R 12x, BD-R DL 12x, BD-RE 2x, BD-RE DL 2x. CD: CD-R, CD-RW, CD-Audio (CD-DA), Video-CD, MP3 to CD-Audio, most other industry-standard CD formats. DVD: DVD±R, DVD±RW, DVD±DL, BD-R.
Software: For the PC: PTPublisher™, SureThing™ CD Label Software Primera Edition.For the Mac: PTPublisher for Mac OS X 10.6 or higher with Disc Cover design software. Minimum System Requirements for PC: Intel Celeron® Processor or higher, 2GB RAM or higher, 10GB or more free hard drive space, available USB 3.0 port or open PCI slot for optional USB 3.0 adapter card (combo cards not recommended), user account with Local Administrator rights. Minimum System Requirements for MAC: 1 GHz PowerPC or Intel processor or higher, capable of running Mac OS X v10.6 or higher, 1GB RAM, one available USB 3.0 port, 10GB or more free hard drive space.